Bean bags are nothing new but they are available in far more shapes and sizes than the traditional small, rounded models you might first bring to mind. Offering a winning combination of comfort and support, if you’re looking to relax after a hard week at work or you just want your kids to have somewhere fun to sit in the den, the best bean bags are affordable, versatile and should give you years of faithful service. We’ll kick off with our 5 best bean bag reviews then we’ll serve you up with a concise buying guide highlighting the features you should look for. Big enough to accommodate 2 adults with ease, this roomy 7-footer comes in a broad spread of colors and is fashioned from fully washable microsuede, a material that manages to combine durability with a snug feel you wouldn’t normally associate with hard-wearing fabrics. If you’ve ever bought a cheap bean bag and found that it bent out of shape in no time, you’ll appreciate the intelligent memory foam that puts and end to that. 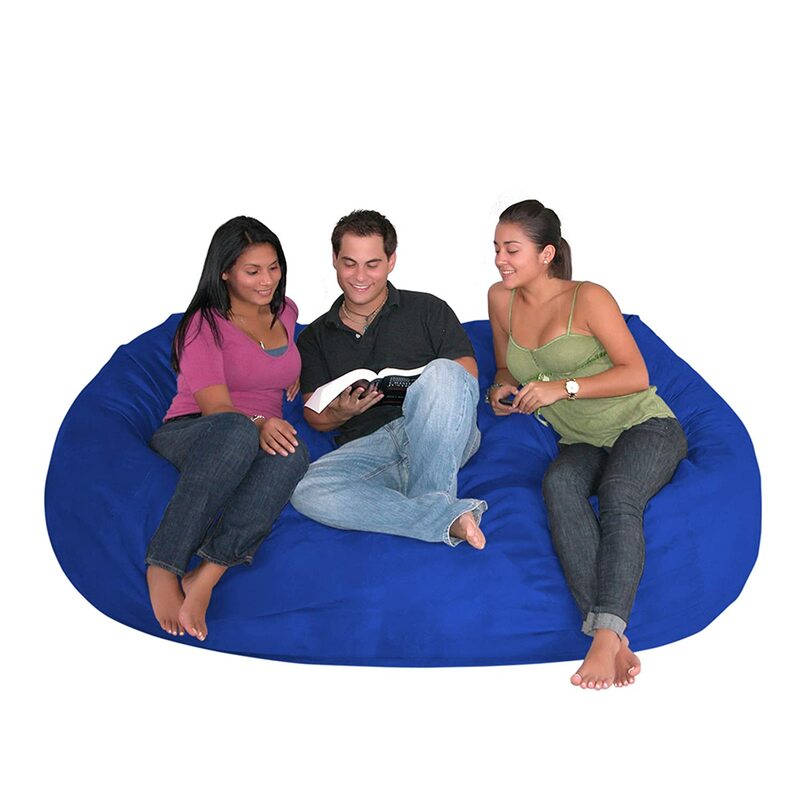 Coming in a full spectrum of colors, there’s truly something for everyone with this awesome bean bag. 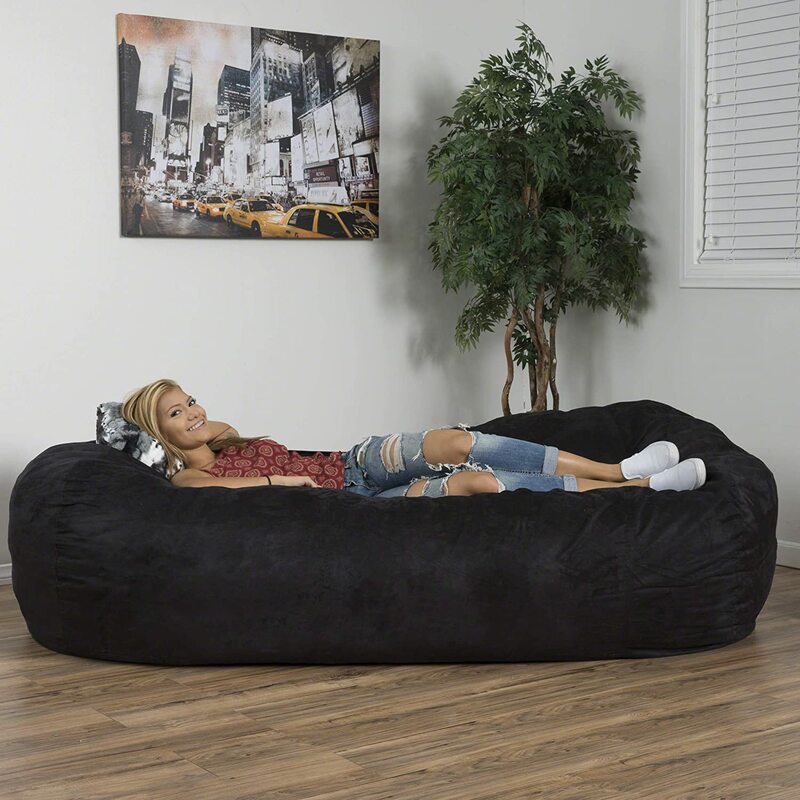 Next up in our best bean bag reviews is this 6-foot Cozy Sack. You’ll get a choice of sizes and colors to put many rivals to shame. The bean bag is filled with a special urethane that pops right back into shape when you stand up rather than folding in itself disappointingly. For families with plenty of kids in the house, you’ll be well aware how their rough-and-tumble can leave furniture battered and bruised. Fully protected in terms of both liner and zipper, the Cozy Sack is built to stay the distance while keeping you cocooned in comfort. 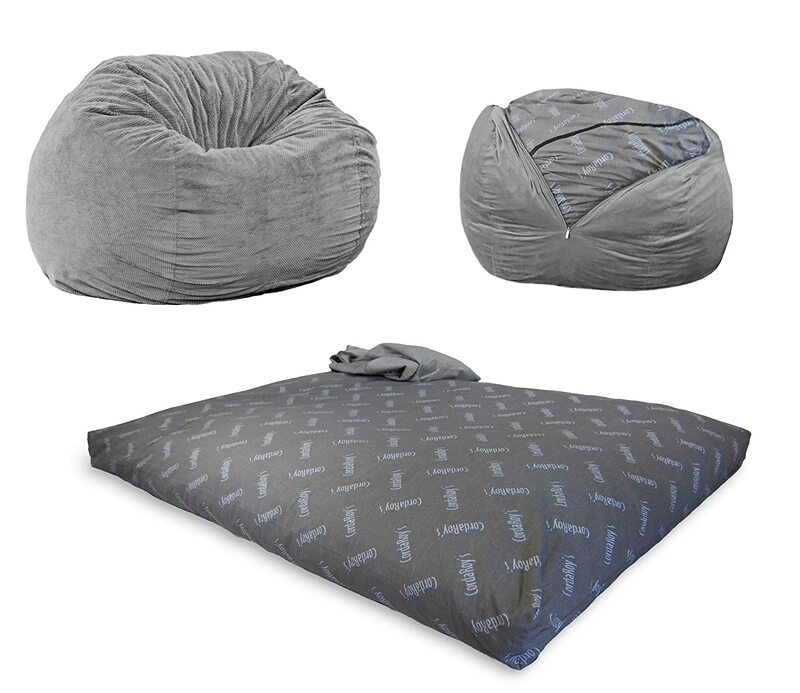 The Cozy Sack gives is a versatile, robust yet supple bean bag representing outstanding overall value. Check one out at your earliest convenience. As we reach the midpoint of our best bean bag reviews, in steps Big Joe coming in a variety of sizes including the king-sized line-topper we tested. We’ll kick off by saying that the manufacturer’s sizing claims are potentially suspect. 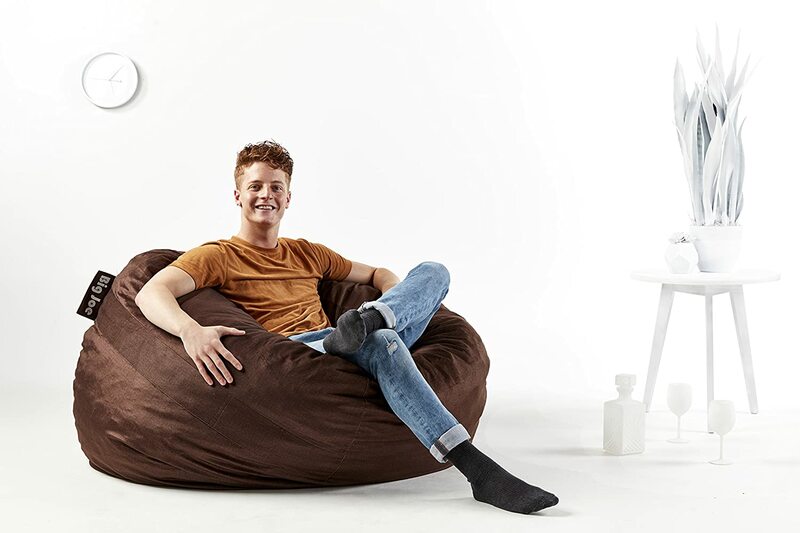 This is a large enough bean bag but if size really does matter, we’d urge you to choose the king-sized as the others are slightly too small for adults. Into its second generation, uprated filling and a luxe fabric in multiple colorways, Big Joe has listened to feedback and improved this bean bag in the areas that really count. The handles are something we wish more brands would introduce on bean bags to simplify moving them around. 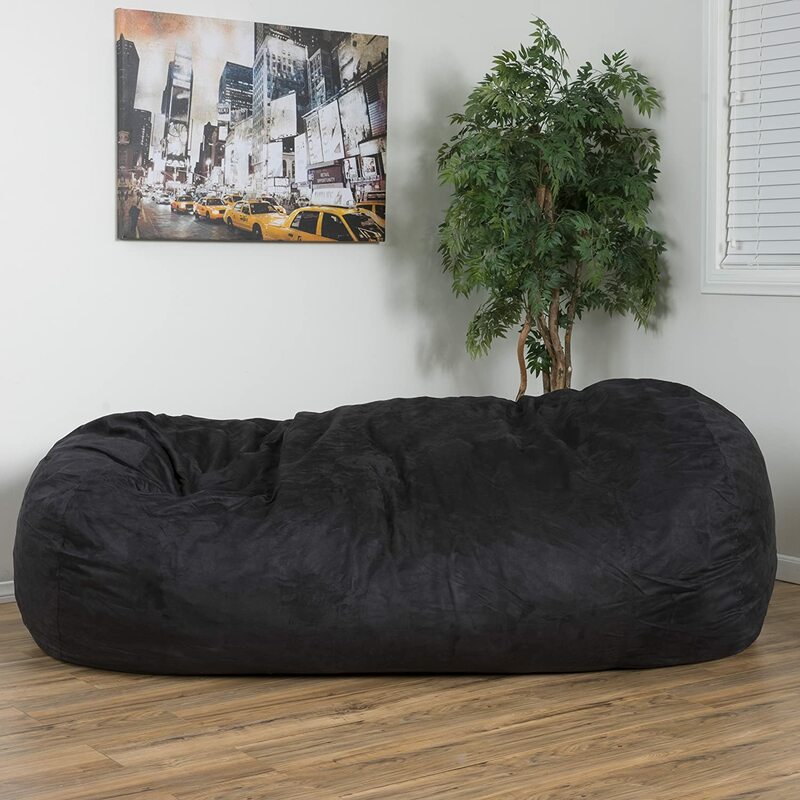 Despite being a flawed gem, if you’re looking for a beanbag that marries comfort and support in one long-lasting package, roll with this Big Joe, our pick for best bean bag on a budget. As we near the end of out best bean bag reviews, we’ve got a highly adaptable and convertible chair from CordaRoy’s. If you have a house or apartment with limited space and the odd friend staying over, the bean bag becomes a great bed with almost no effort. While many people are hunting for the softest bean bag, comfort is useless without rugged performance. The soft chenille along with fluffy filling is offset with all the sturdiness you need to extract maximum value for money. Perhaps the most attractive element is the no-quibbles lifetime guarantee. Any time a manufacturer offers up this kind of warranty, you know they stand fully behind their product so you can invest in this bean bag without any worrisome headaches. 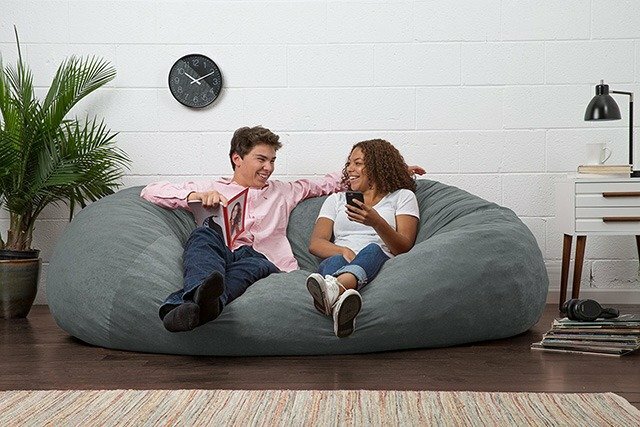 Last up in our best bean bag review is a superb low-slung bean bag that looks more like a couch than a regulation bean bag. If you’re looking for a more flexible seating solution that takes all the advantages of a bean bag while throwing in the added functionality of a couch, this offering is really hard to beat. Bean bags have little but configuration and comfort to differentiate themselves so the most accurate summary is that this Christopher Knight lounger does its intended job while adding a little more variety when it comes to seating arrangements. The downside of this is a heavy piece of furniture you’ll need some assistance to shift around. 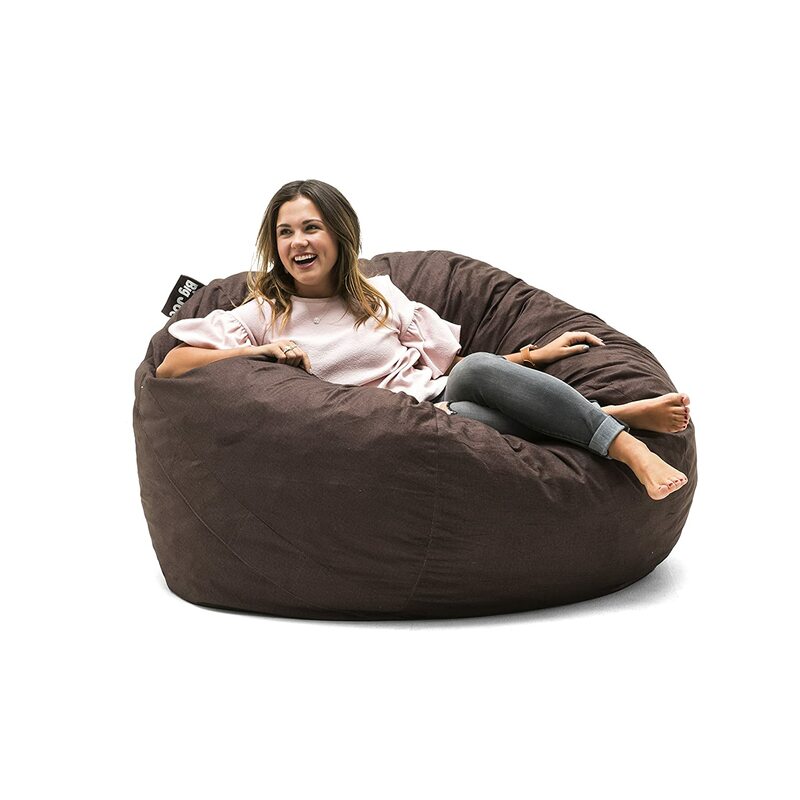 Overall, though, we’d strongly recommend this bean bag for larger families with bigger homes looking for comfort outside the confines of a standard-issue bean bag. With our best bean bag reviews wrapped, it’s time to give you some handy hints on how to source the most suitable piece of furniture for your lounging needs. 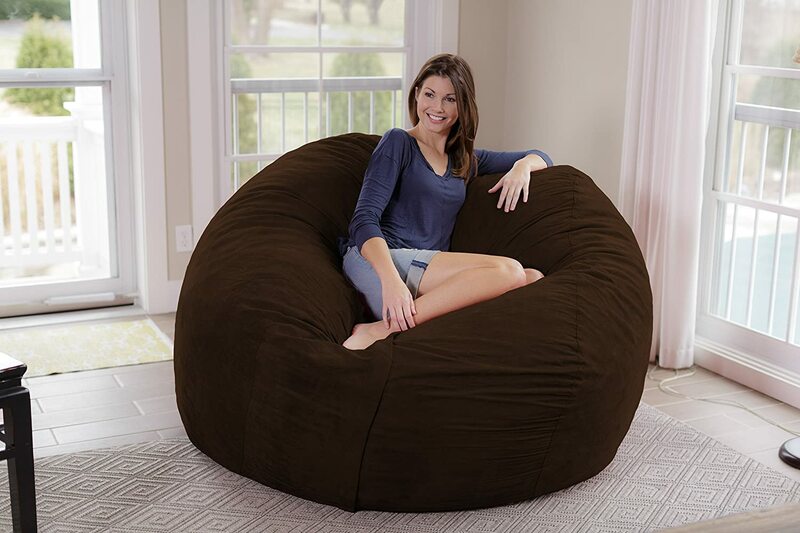 First things’s first, you should think closely about how big you want your bean bag relative to the size of your house. After all, it’s senseless looking for the largest model on offer if you don’t have the room to accommodate it. When you’re considering size with regard to children, think in terms of their height and weight rather than age. Age is just a number! You shouldn’t rely on the pictures provided by the manufacturer. As with any product from any company, their job is simply to sell it to you at any cost marketed in the most attractive way. By reading plenty of honest user reviews you can get a far more accurate idea of sizing than relying on the firm that produces it. We’ve highlighted clearly exactly how each of the bean bags we tested measured up to help you along on that front. The polystyrene beads that have long been the staple of bean bag fillings are fit for purpose but tend to degenerate over time. Furniture filled in this way is lightweight and easy to shift around. If, like us, you often move your bean bag from the living room to the office, something simple to move is a smart move. Polyurethane foam is arguably the most comfortable filling along with the inbuilt advantage of being extremely durable. Despite a plush softness, this type of filling won’t break down so you’ll sidestep the expense and tedium of replacing the filling. If you’re looking for a green alternative, you can find bean bags with eco-friendly filling so you can do your part for your environment while relaxing in complete comfort. A solid and well-built bean bag depends on many factors including the material it’s made from. 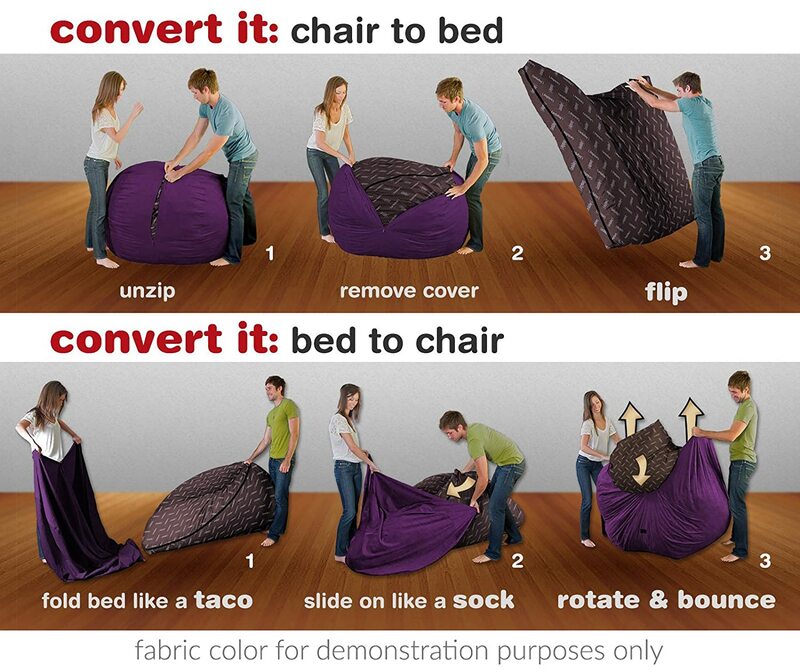 Think about how you’ll be using your bean bag. If it’s something that will come under heavy punishment from your kids, prioritize durability over all else. If it’s just something for you and your husband to relax on, material can be considered more in relation to comfort than lifespan. 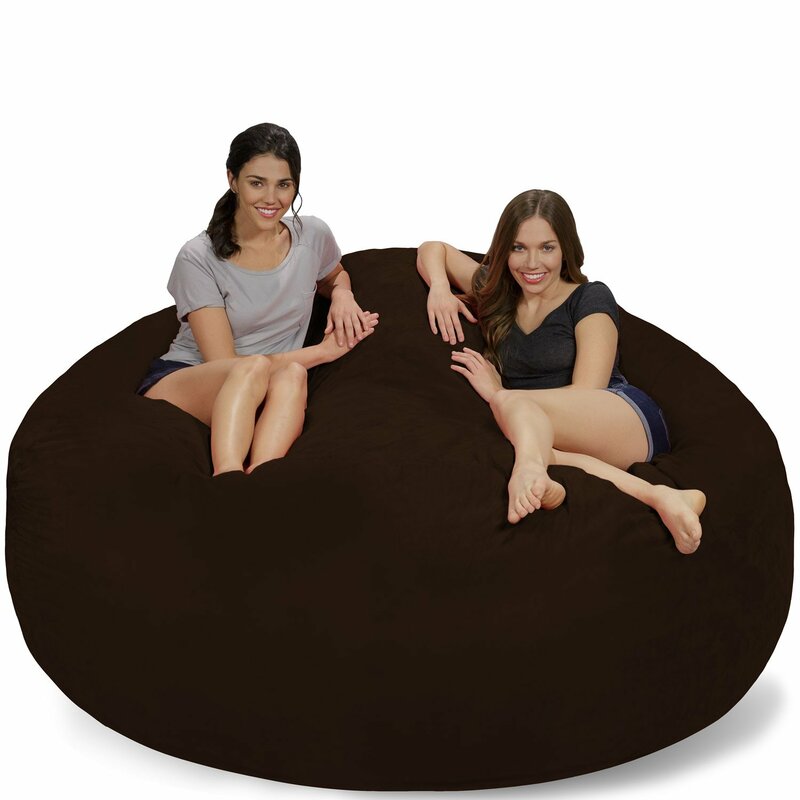 Linked to what your bean bag is made of is the comfort factor. Even if you choose something that looks well made and seems likely to last the distance, there’s absolutely no guarantee it will be a soft and comfortable as claimed. Again, frank user-generated reviews are a great source of information. Once anyone has parted with their hard-earned money, they’re generally more than keen to share any pluses or drawbacks with a given product. Think, too, about your intended use when looking into the comfort angle. If you’re planning to use your bean bag as a relaxing second chair to work from when you’re in home office or for extended PlayStation sessions, it pays to look for a more upright bean bag. If you just want something to sink back into while you watch TV or cuddle up with your partner, a more laid-back configuration works best. As with all aspects of any buying decision, it pays going in to think purely about your own situation. If you’re ever expecting a one-size-fits-all solution, you’re highly likely to come up short. Imagine investing in the softest and comfiest bean bag only to find out it’s a real chore to clean. In all honesty, you probably won’t end up using it much. Removable covers make long-term maintenance a breeze, while you can get plenty of wipe-down bean bags rendering physical washing unnecessary. If you have kids and plan to unleash them on a bean bag, the one thing you should look for is a child-proof fastening. Let’s face it, what could be more frustrating to come home and find the entire floor scattered with filling? The other area to concern yourself with is making certain the filling is non-carcinogenic. 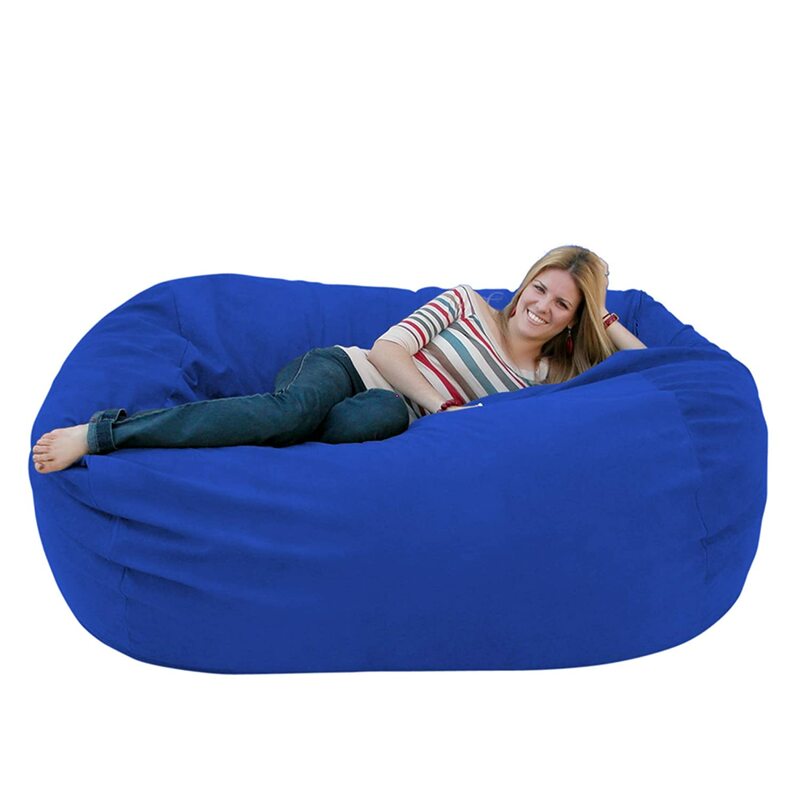 We hope you’re now in the position to get yourself the best bean bag for your needs without too much time or trouble. Take the simple but effective pointers into account when you’re on the buying trail and you’ll soon be chilling in total comfort for far less than you might imagine. Come back soon for more home and garden-related gems to improve all aspects of your life. In the run-up to Christmas, we’re going into overdrive on the testing front. With an ambitious series of products to cover, we are already hard at work here so keep checking in and let us know if there’s anything in particular you’d like help with. Today, we are going to list the 5 very best and comfy bean bag reviews for your living room! Don't trust my words, there is a video on how to do it.